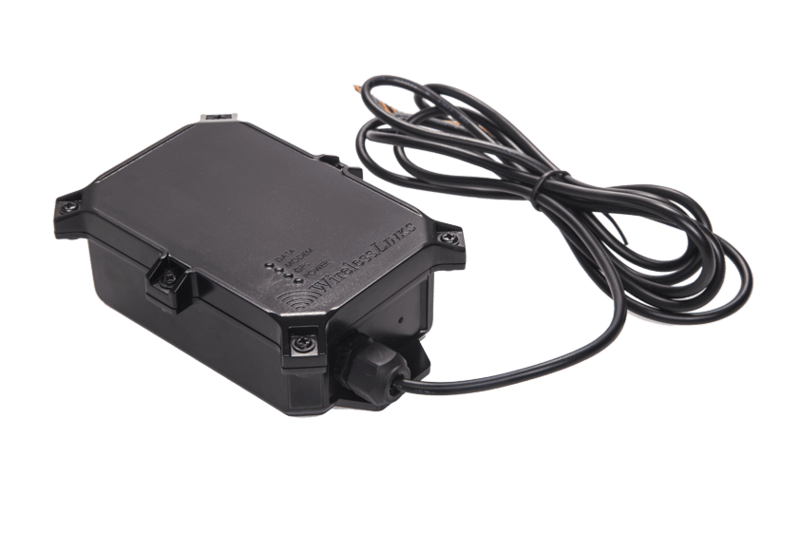 The most advanced & versatile dual mode GPS Trailer Tracker Device Designed Specifically For Trailer Tracking. 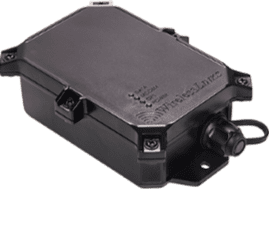 Packaged in a robust, waterproof IP67 enclosure and supporting a variety of sensors such as temperature and door, the Piccolo Hybrid+ is a complete trailer tracking solution designed for your trailer tracking needs, automatically switching from regular vehicle tracking mode to asset tracking mode when external power is disconnected, providing comprehensive visibility for trailers parked at job sites waiting to be unloaded and reloaded. 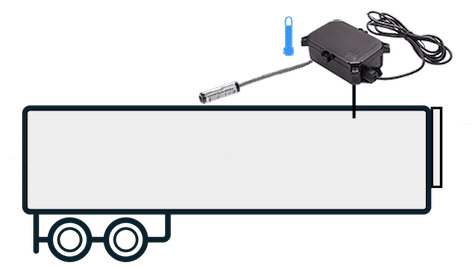 Provides comprehensive visibility on your trailers including the ability to know when trailer is disconnected from the cabin and the ability to pair truck to trailer (which trailer is attached to which truck). Device recharges when the trailer is hooked up to a truck, removing maintenance and battery charging burdens. 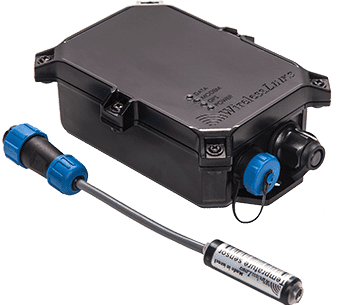 For temperature controlled trailers, device lets you monitor up to 6 different cold zones simultaneously, for maximum temperature monitoring and control. When externally powered (tethered to the power of the trailer), the Piccolo Hybrid+ operates in real-time vehicle tracking mode sending GPS in high frequency, for example every minute. Once power is disconnected, the Piccolo Hybrid+ automatically switches to Asset Tracking (AT) mode, sending an alert on trailer disconnect and providing complete visibility on the whereabouts of your trailer, sending a GPS check in 1/ day when parked (user-definable). In AT Mode, once movement/vibration is detected, the Piccolo Hybrid+ will automatically wake up, send an alert and will report more frequently for as long as the vibration continues. For example, every 30 minutes (user configurable). The Piccolo Hybrid+ can be supplied with a DC plug in place of the wire harness. 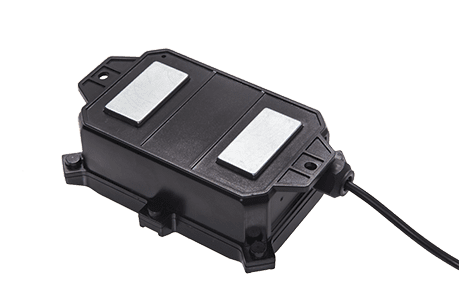 With this configuration, the Hybrid+ serves as a standalone, autonomous container or asset tracker with a 5-year battery life or up to 5000 GPS on a single charge when powered by the internal 7800 mAH rechargeable lithium battery. When powered by the large 7800Mamp battery can report up to 5,000 GPS positions off a single charge. Once external power is restored, the internal battery will recharge. Supports up to 6 wired digital temperature sensors, allowing you to monitor up to 6 different cold zones simultaneously. Supports CANbus OBDII, K-Line, J1939, and J1708 protocols and will report when available data including: fuel consumption, oil pressure, distance travelled, RPM, and more. 2 digital inputs, 1 digital output and 1 analog input allow for various types of sensors such as pressure, temperature, engine on/off, vibration alarm, door open/close and more. 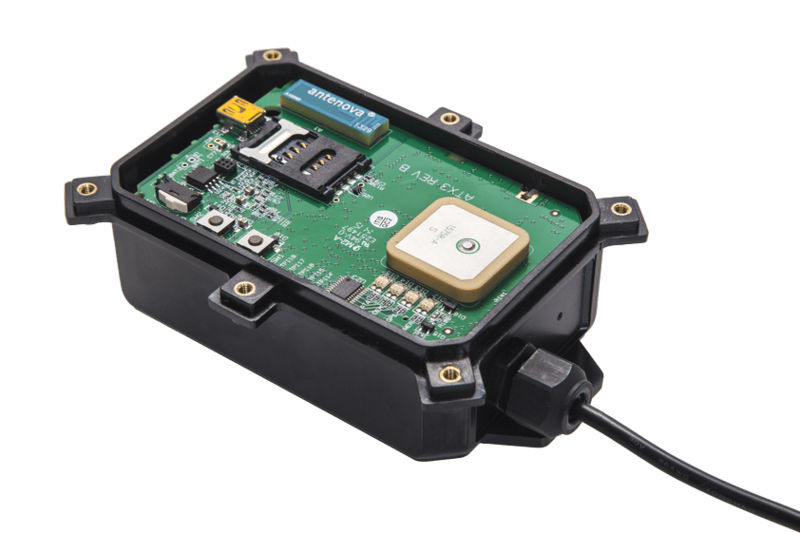 Change the frequency of transmitting GPS when entering a pre-configured Geo-fence boundary. Auto alert when and where the external power is connected / disconnected. Easily reconfigure the Piccolo Hybrid+ OTA or by sending SMS commands. When an event is detected, the Piccolo Hybrid+ is programmable to send an SMS alarm to mobile phones together with the current GPS coordinates. Standby (Hibernation mode: 20mA at 12VDC (when waiting for external event with GPS on). Sleep mode: 45uA – (switching to sleep mode automatically when engine is off and/or when external power is disconnected).